The official motto of Muncie, IN, is “Imagine the Possibilities When We Work Together.” In keeping with the spirit of this declaration, the Muncie City Council just passed the strongest companion animal protection law in the nation — a seminal achievement for the No Kill movement — demonstrating that when it comes to caring for the community’s neediest dogs, cats, and other shelter animals, the city’s commitment to possibilities is far more than mere words. 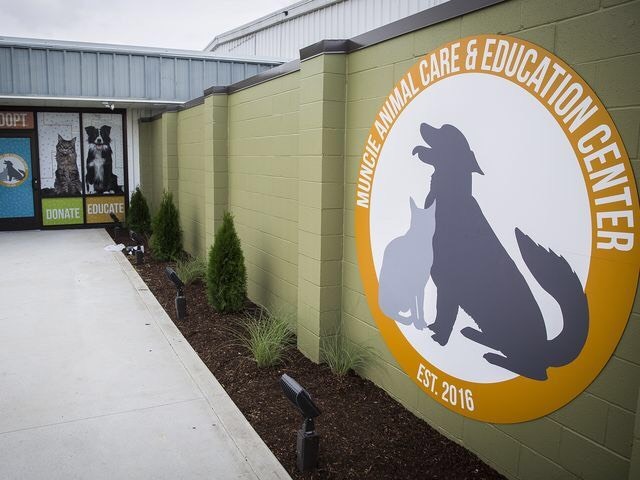 Not only has Muncie’s municipal shelter director, Phil Peckinpaugh, transformed the city into one of the safest communities for shelter animals in the nation, it has given the changes that resulted in that success permanence and continuity through the strength of law. 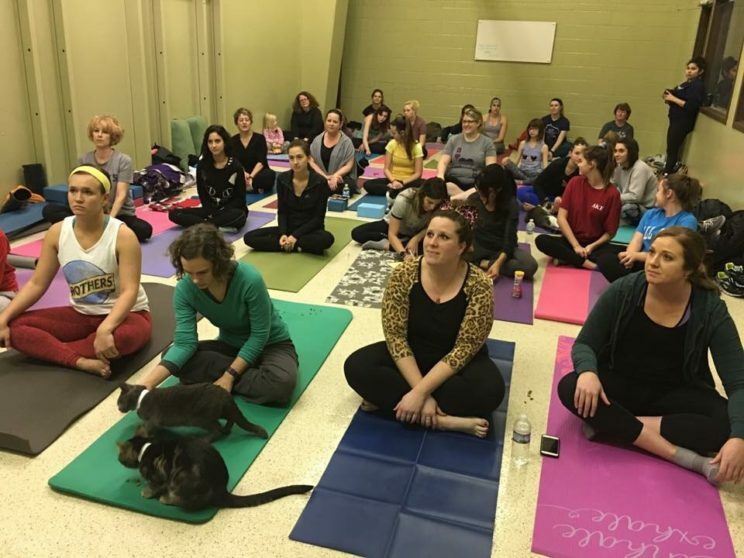 Using the No Kill Advocacy Center’s legislation, the Companion Animal Protection Act as a model, and working with a No Kill Advocacy Center attorney to craft a version of that law for his community, Phil’s efforts mean that Muncie now stands as a model of both compassionate care and how to sustain it for communities across America. 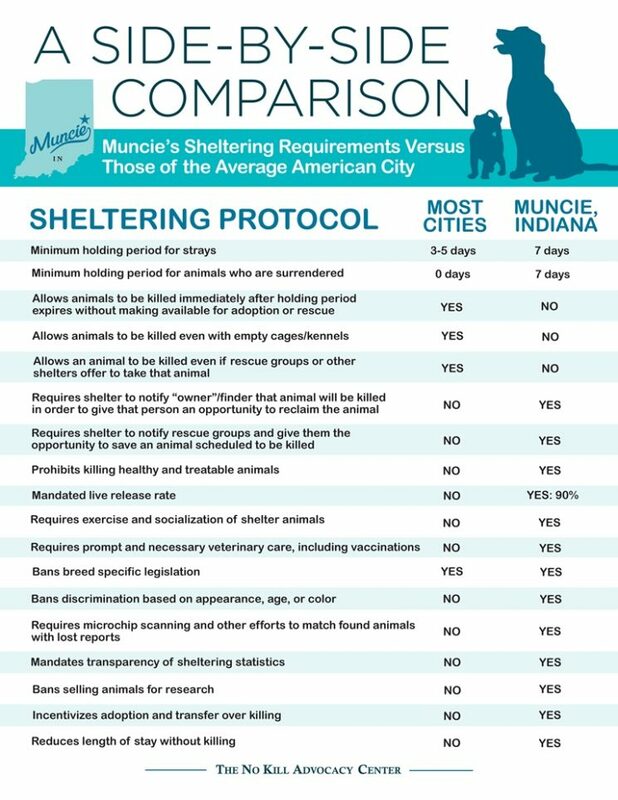 A comprehensive review of the law can be found below, including a side-by-side comparison of how Muncie’s now legally mandated shelter protocols compare with the average American city in which killing is still the tragic norm. But as the passage of this law would not have happened but for the commitment and compassion of the man who both spearheaded Muncie’s shelter transformation as well as this legislation, I want to start with a quick Q & A with Phil that puts this achievement in context. I asked Phil to explain how the local shelter in Muncie which once provided the public poor service, the animals poor care and the killing of roughly half of them, came not only be one of the safest communities for homeless animals in America, but the standard bearer for legally mandated protocols which protect them. Muncie, IN, shelter director, Phil Peckinpaugh. When did you start in Muncie and what was the shelter like when you got there? I began my journey on January 1, 2012. At the time of arrival the department was a very typical “dog pound,” kill rates hovered around 49%, records were not well kept, animal comforts were not a priority, all pit bulls were automatically killed after the five-day hold, cats were mostly sick and went untreated, and staff morale was very low. As a policy, animals left the shelter without being sterilized prior to adoption, and both education and compassion were seriously lacking. Rescues were looked at in a very negative way and were seldom used. Dead animals were put in large oil barrels in a walk in freezer and were discarded to a fertilizer company like trash. What kind of changes have you made over the years? Numerous changes have been made. We openly work with rescue groups, and in fact that is the largest way we are able to keep our live release rates so high. In the rare occurrence that an animal is euthanized, it’s a very thought out and debated process… We look at animals as individuals, giving every animal every chance they deserve to succeed via adoption or rescue. Volunteer and community support are welcomed and exist openly. Every animal is cared for properly and given an ample amount of stimulation every day. The department also has a brand new 19,000 square foot facility that was built with the animals as the number one priority. Animals do not languish in pain with injuries and are appropriately treated and examined by licensed veterinarians. The staff is helpful and kind and does not place blame on the public. We are becoming part of the solution versus part of the problem and proof of what can be done when we all are focused on the mission and put hard work ahead of apathy. What is the shelter like right now? The shelter is wonderful today. Animals and their well being are the top priority. All staff members believe in the same principles and are here for the animals. What has made Muncie’s transformation possible? Our programs are the heart and soul of our success, but it’s the people who make it happen. Muncie is incredibly fortunate to have supportive leaders such as Mayor Dennis Tyler, and our entire city council, in particular, Councilor Doug Marshall, and Councilor Alison Quirk. Having both the executive and legislative branches of our local government see the value of having a well-run and humane facility has been key. They are not only supportive, but they’ve made Animal Services a priority. Having a very dedicated staff, such as our Rescue Coordinator, Dana Salkoski, has also made the transition from high kill to having a save rate of 97%, possible. It’s their hard work on the front lines every day that has made the difference in saving thousands upon thousands of animals that might not be given a second look in many other communities. And, of course, the people of this and surrounding communities: the volunteers, the rescuers, the adopters, everyone and anyone working to make a lifesaving difference in our city. What did you do before you worked in sheltering? And why did you decide to go into this field? I worked in the financial sector. But I hated it. I’ve always had a passion for animals and running a shelter was really my dream since as long as I can remember. Did you have an “a ha” or lightbulb moment about transitioning your shelter to No Kill? Not really, it’s just the difference between right and wrong. Reading Redemption, however, allowed me to know that this dream is possible. Why did you introduce this ordinance? And why is it important for even successful communities and successful shelter directors to introduce ordinances to codify their practices? I want to make sure these changes are not just temporary and far outlive me. It provides a full seven day period where animals can not be killed regardless of how they came into the shelter. In all states but three and very few cities, “owner surrendered” animals can be killed within minutes of arriving. That is now illegal in Muncie. It bifurcates the holding period to allow animals to be adopted quickly, but does not allow the shelter to kill them. In fact, an animal can be transferred to rescue right away so long as the family has the same right of reclaim and procedures are put in place so families can find them. It requires the shelter to notify rescue groups and given them at least two days to save an animal before killing. It requires the shelter to notify the people who surrendered the animal and reclaim the animal rather than have the animal killed (with an exception for animals who show signs of having been abused). The animal has been determined to be medically untreatable by a veterinarian or a dog is determined to be vicious to people and the prognosis for rehabilitation is determined to be poor to grave by a behaviorist. It requires the shelter to provide animals with fresh, nutritious, species and age appropriate food, access to fresh, clean water at all times, and environmental enrichment to promote their psychological well-being such as socialization, toys and treats, and exercise. 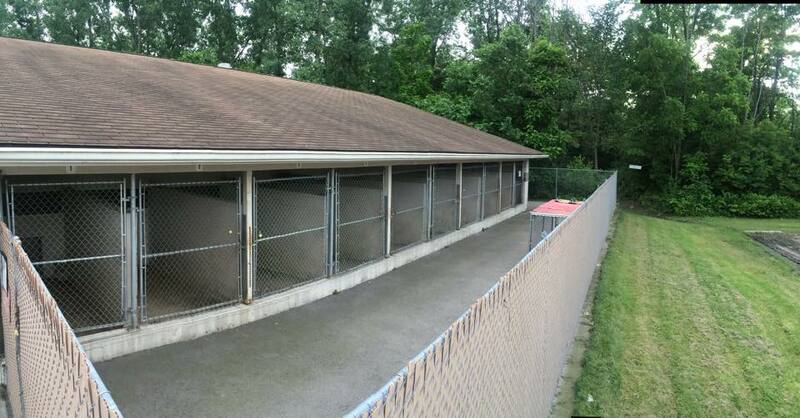 It requires the shelter to provide prompt and necessary cleaning of their litter boxes, cages, kennels, and other living environments no less than two times per day, to ensure environments that are comfortable for the animals, welcoming to the public, hygienic for both the public and animals, and to prevent animal illness. 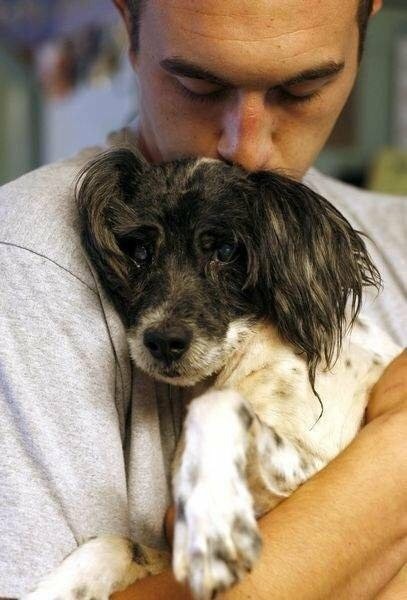 It requires the shelter to provide animals with prompt and necessary veterinary care, sufficient to alleviate any pain caused by disease or injury, to prevent a condition from worsening, and to allow them to leave the shelter in reasonable condition including but not limited to preventative vaccinations, cage rest, fluid therapy, pain management, and/or antibiotics. 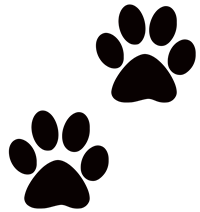 It requires the shelter to use all available methods to reunite lost animals, including maintaining continuously updated lists of animals reported lost and found, to check these lists and animals in the shelter for matches, and to post a photograph of and information on each stray animal impounded by the shelter on the internet with sufficient detail to allow the animal to be recognized and claimed by its owner. It prohibits discrimination based on the animal’s breed, breed mix, species, age, color, appearance, or size. It requires the shelter to maintain a “live release rate” of at least 90% in any 12 month period. It mandates transparency of statistics. And it prohibits the animal from being sold into research. 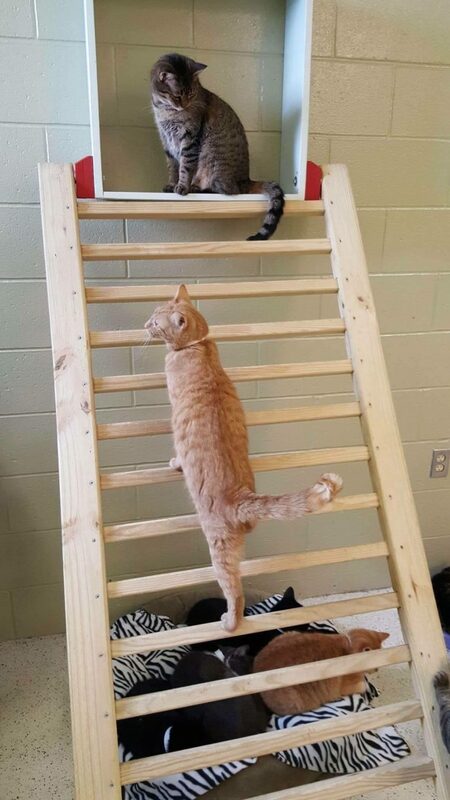 Photo above: Even before building the new facility, Muncie’s municipal shelter empties the shelter the good way via adoptions as part of Just One Day in 2015. 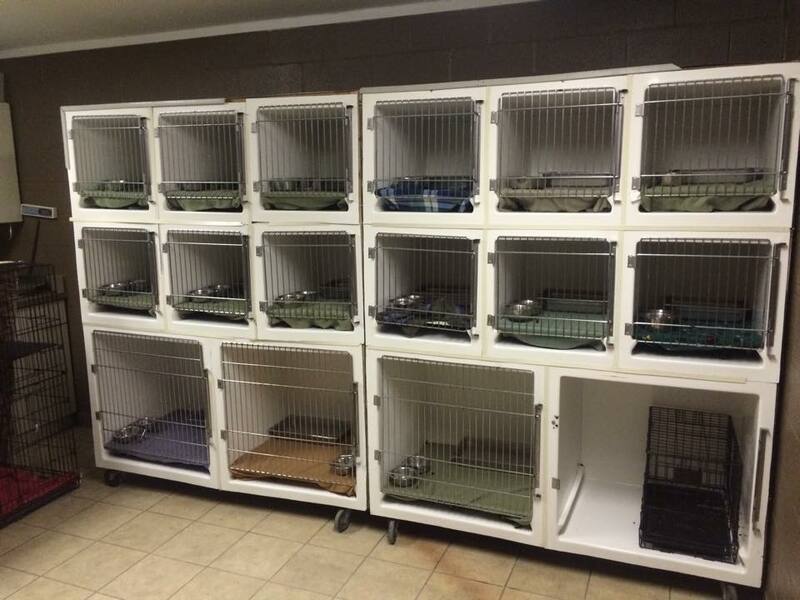 Photo below: Cat cages were also emptied via adoptions on Just One Day. And what makes it so breathtaking is that it was introduced by the director of the municipal shelter himself, who welcomed the accountability, and passed overwhelmingly by the City Council because no one thought transparency, empowerment, engagement, and cooperation were controversial or bad ideas. In short, they imagined the possibilities of working together. 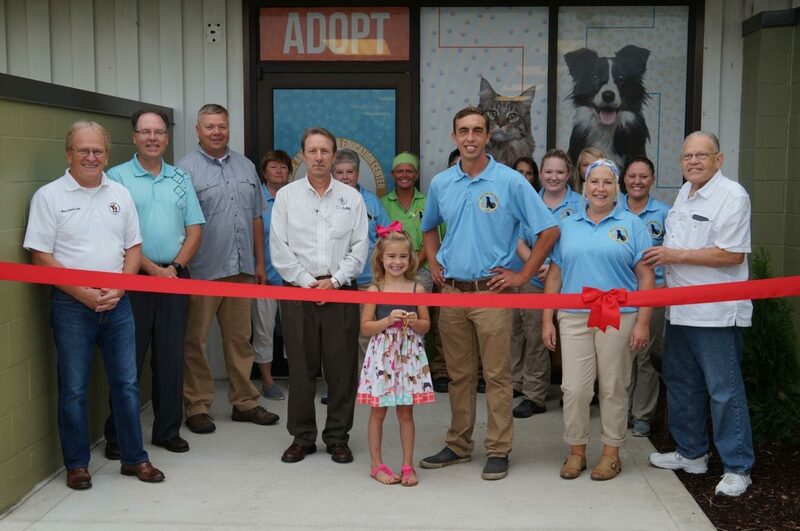 Congratulations Phil and team; congratulations rescue partners; congratulations to every animal lover working to make a lifesaving difference in that city; congratulations to Muncie. And thank you. Are you interested in introducing a similar law to protect homeless animals in your community? The No Kill Advocacy Center is here to help. Are you interested in making Phil Peckinpaugh’s story your story? Consider taking a job in animal sheltering. For a side by side comparison of Muncie’s ordinance with the typical American city, click here. For a copy of the Muncie ordinance, click here.